One of the first two structure decks to be released in Duel Links. 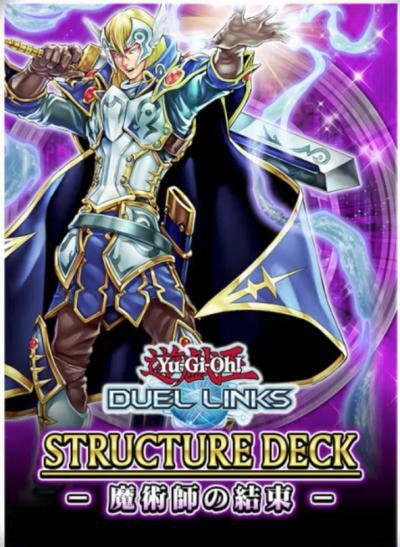 This structure deck contains Spellcaster-Type monsters and Spellcaster support cards. This deck is built in a way that encourages you to Special Summon Spellcaster-Type monsters from your Deck and Graveyard. Who should buy this deck? It is recommended for all people who just started playing duel links to buy at least one structure deck. 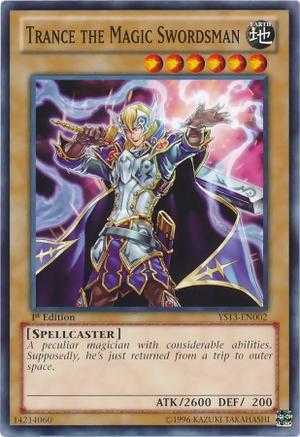 But aside from that, people who want to build Spellcaster themed decks are recommended to buy this. A peculiar magician with considerable abilities. Supposedly, he's just returned from a trip to outer space. A dimensional drifter who not only practices sorcery, but is also a sword and martial arts master. 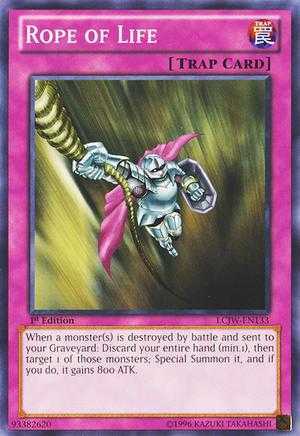 When a monster(s) is destroyed by battle and sent to your Graveyard: Discard your entire hand (min.1), then target 1 of those monsters; Special Summon it, and if you do, it gains 800 ATK. 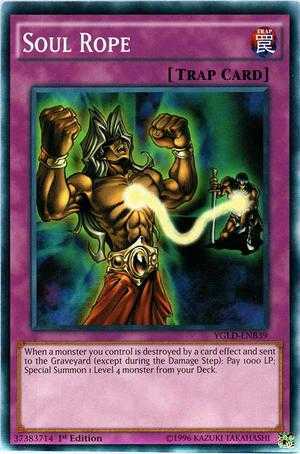 When a monster you control is destroyed by a card effect and sent to the Graveyard (except during the Damage Step): Pay 1000 LP; Special Summon 1 Level 4 monster from your Deck. A Man with Wdjat Has pretty decent balance stats and it can give you knowledge of your opponent's set cards. 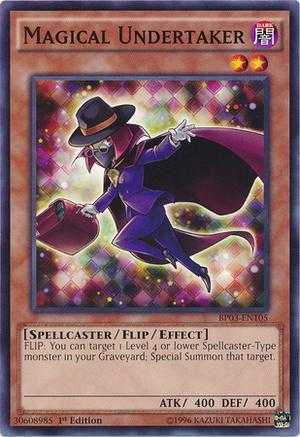 Magical Undertaker Very useful on Spellcaster decks. It can even revive high level Spellcaster-Type monsters from your Graveyard. 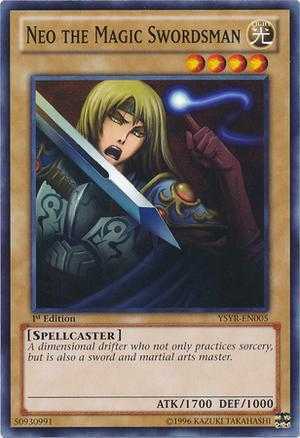 Trance the Magic Swordsman Currently has the highest raw attack out of all monsters that requires 1 tribute. The Illusory Gentleman A normal Spellcaster-Type monster with balance stats. Spell Wall A Spellcaster support card that can make your opponent's monster defenseless against attacks. Book of Secret Arts Good for Spellcaster-Type monster with balance stats. Destructive Draw Can be used along with Rope of Life to quickly replace those cards that you discarded. Soul Rope One of the few cards that can Special Summon a monster from your deck. Ready for Intercepting It lets you re-use the Flip Effect of Warrior and Spellcaster-Type monsters. Rope of Life A unique card that can revive and give attack to a monster. Very useful on Handless decks. Can I use the cards on other decks? Or just on the structured one? Will Konami add more decks like those two? Soul rope didn't work... set it on my turn with neo out... he was destroyed by battle, I had a card in hand, it did not let me activate it. and I meant rope of life. You can not activate a trap card the turn you set it.... everybody (at least) know that. Also, destructive draw seems underrated. It can be really good in some decks. Destructive draw is terrible. Losing 3000 if they pop it is awful. If you buy a deck like this one can you put the cards in other decks? This structure deck is definitely better than those filthy dragons, magical undertaker, spell wall, rope of life, 3xNeo, who doesn't love Neo? The list is slightly wrong. Spellcaster deck will always be inferior to Dragon deck because hey KC boss is Seto Mother Kaiba.